This essential guide from Patrick Van Horne and Jason A. Riley describes how to listen to your inner protector and increase your sensitivity to threats before they happen. You interview a potential new employee who has the résumé to do the job, but something tells you not to offer the position. 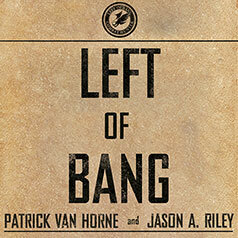 These scenarios all represent "left of bang," the moments before something bad happens. But how many times have you talked yourself out of leaving the restaurant, getting off the elevator, or getting over your silly "gut" feeling about someone? Is there a way to not just listen to your inner protector more but to actually increase your sensitivity to threats before they happen? Legendary Marine general James Mattis asked the same question and issued a directive to operationalize the Marine Corps' Combat Hunter program. A comprehensive and no-nonsense approach to heightening each and every one of our gifts of fear, Left of Bang is the result.